eeeeeeeeee. i’m a little late on sharing this but you may have seen it on my facebook already. ruffled blog, who i would read daily as an engaged girl (ok and admittedly, before i was engaged too..haha) featured our wedding on their site on monday! 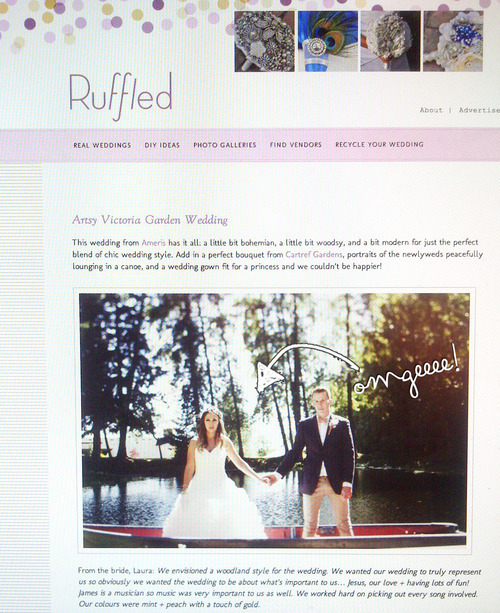 ruffled contacted our photographers, AMERIS over a month ago and asked to share the wedding. obvsy i was over the moon! they had me fill out an online form, which took me forever but i’m overjoyed they included a lot of my answers.